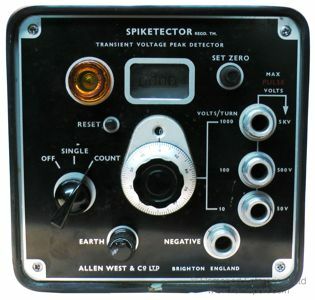 A device for detecting and counting electrical spikes or transients. This older piece of test equipment is designed to both detect and count transients - spikes of voltage above a certain threshold. 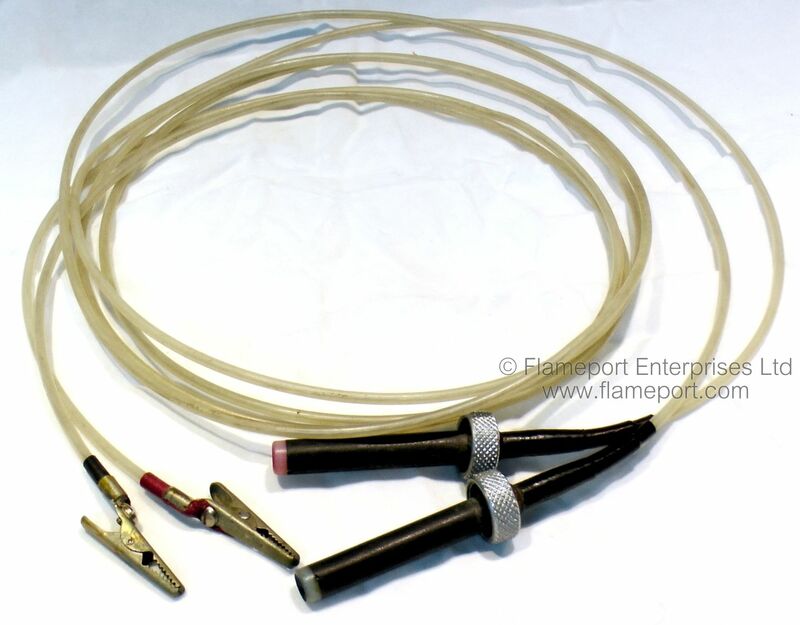 Such spikes can damage equipment, particularly those containing electronic devices. The test device is contained in a substantial metal enclosure, and powered by three PP7 9 volt batteries. This video provides an overview of the device, and a detailed look inside. 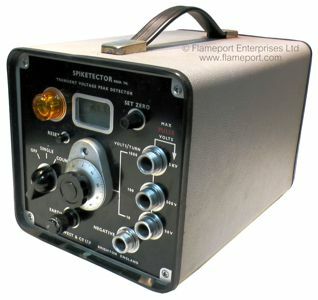 The Spiketector is complete with it's original wooden case, test leads, sales leaflets and instructions. 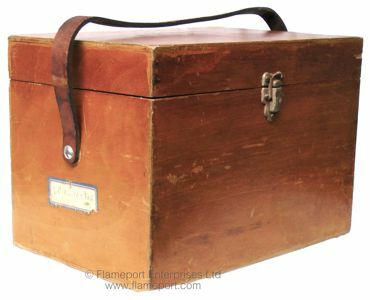 The case is plywood with a leather strap handle and a metal fastening clip. 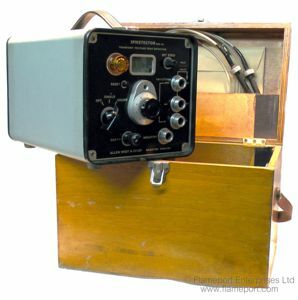 All controls and connections are on the front panel as shown here. The supplied test leads connect to the large threaded connectors on the right side, there is also a connection for earth. 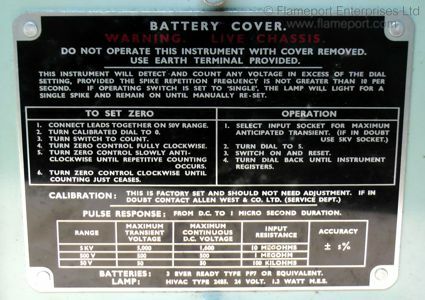 There are two modes - Single where a single pulse is detected and indicated by the orange lamp, and Count where multiple pulses are counted on the mechanical counter in the centre window. The Reset button resets both the counter and the orange lamp indicator. The actual trip level is set using the large centre multi-turn dial, and a smaller control is provided for zero adjustment. 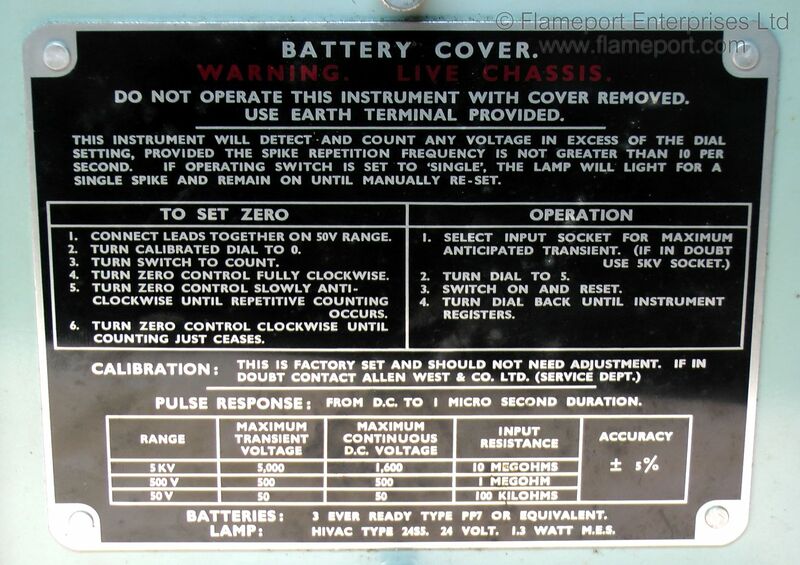 The back panel has a summary of the operating instructions and specifications. 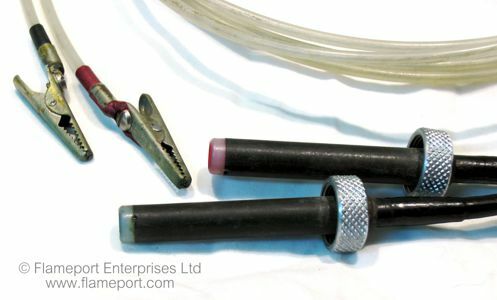 The original test leads are included - these have connectors specific to this device at one end, and crocodile clips at the other. The clips originally had red and black insulation over them, but this has perished and crumbled away due to age. The actual wires have very thick insulation, more like tubes of plastic - probably due to the high voltages that this equipment is capable of detecting (up to 5000V). In this video, the device is demonstrated operating. To avoid damage to this decades old device, it is powered from a current limited bench power supply, and the input signal is derived from a function generator with a maximum output voltage of 20 volts. These are high quality scans of the original documents supplied with the device.